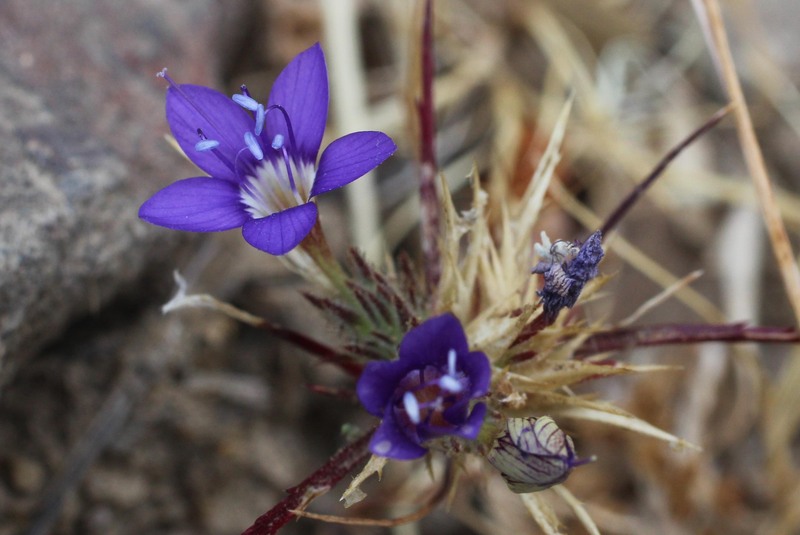 Small purple flowers sprout from hairy, spiny tufts of green–a splash of color on a dry hillside. 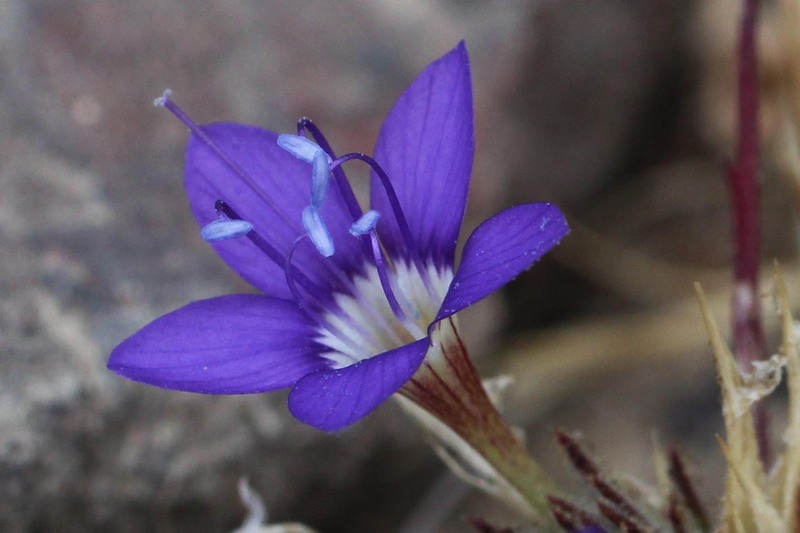 This is sticky navarrettia (Navarretia viscidula), a California endemic. There are many species of navarretia, which are generally white, pink or purple. While many can be found in wetlands, this species is one of those that tends to prefer dry habitat. This is a member of the Polemoniaceae family, along with the similar-looking linanthus species. Navarretia seeds were used by indigenous Californians for food.